The In Situ Foundation based in Chico, California, has spent the last 12 years developing scientific protocols that are needed to train cancer detection dogs and their handlers. In collaboration with top research universities including Duke and UC Davis, they rescue dogs and train them to sniff out specific cancers. All training is reward based. The dogs of In Situ live in residential homes with their adoptive families. Their day jobs are to go to work at the Foundation. Stewie is a 5 year-old, female, Australian Shepherd. She has been one of In Situ’s best dogs, and has been trained to detect early stage lung, ovarian, and breast cancer. She was one of our star dogs in a 2012 ovarian cancer study, and she is also on Duke University’s canine team for breast cancer. Stewie has also competed in agility, obedience, and is a certified therapy dog with Pet Partners and LA Children’s Hospital, where she visits sick children. Stewie was nominated for the 2015 American Hero Dog Award, given by the American Humane Association. Stewie is a beautiful, loving, smart and talented dog, who loves her work more than anything, except the frisbee. Leo is a 2 year-old, male German Shepherd, that In Situ Foundation adopted from Westside German Shepherd Rescue. Leo was on death row, and he was scheduled to be euthanized. He is a wonderful, loving, friendly and well-trained dog, and he’s very valuable to In Situ’s team. Leo is on the team of dogs working in conjunction with Duke University on a two-phase, breast cancer trial. Charlie is the newest addition to the team. She is a six week-old German Shepherd from champion lines (from Nadulhaus German Shepherds) and will be one of the first dogs in the world trained on upper thoracic (head, neck and throat) cancer, using saliva samples. After 12 to 18 months of training with In Situ Foundation, she will be owned and loved by Dr. Peter Belafsky (University of California, Davis) and will work with him to sniff samples in clinical trails, which will help advance protocols to detect cancer at its earliest stages through olfaction. Linus is a 3 year-old male German Shepherd who was also on death row, and adopted by In Situ Foundation. He was returned to the shelter three times by his previous owner. When he came to our ranch and got his first “job”, it literally transformed Linus’s life. Linus went from a small “jail cell” to a life of love and play. He’s happy, balanced, and well adjusted, and he’s the most loving boy around! Linus loves his work, and he’s a gem on our cancer detection team. Linus also works on the Duke team of breast cancer detection dogs. Alfie is another new addition to the In Situ team. He will be owned and loved by Dr. Hilary Brodie, Chair of Otolaryngolgy at University of California, Davis. Alfie is a Labradoodle (Lab/Poodle hybrid) who will also be trained to detect upper thoracic cancers, and he will be working toward advancing bio-detection by canines at UC Davis. People aren’t the only ones who perform better on tests or athletic events when they are just a little bit nervous — dogs do too. But in dogs as in people, the right amount of stress depends on disposition. In a series of experiments, the researchers challenged dogs to retrieve a meat jerky treat from a person standing behind a clear plastic barrier that was six feet wide and three feet tall. To get it right, the dogs had to resist the impulse to try to take the shortest path to reach the treat — which would only cause them to whack into the barrier and bump their heads against the plastic — and instead walk around the barrier to one of the open sides. In one set of trials, an experimenter stood behind the barrier holding a treat and called the dog’s name in a calm, flat voice. In another set of trials, the experimenter enthusiastically waved the treat in the air and used an urgent, excited voice. (See YouTube video at https://youtu.be/j6bfo5IlCEY – the video has been protected and so I’m unable to link it directly to this blog post). For the dogs that were naturally calm and laid-back — measured by how quickly they tended to wag their tails — increasing the level of excitement and urgency boosted their ability to stay on task and get the treat. 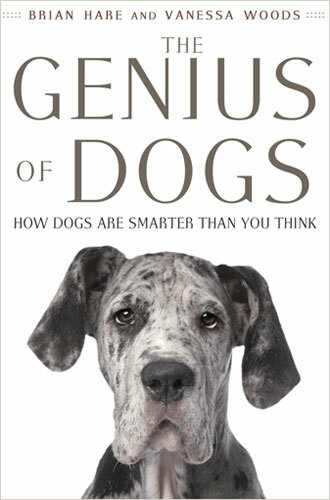 I have just finished reading The Genius of Dogs by Brian Hare and Vanessa Woods. It’s a keeper! I’ve always felt that many people don’t give our dogs the credit they deserve; they are not ‘dumb animals.’ This book outlines research into dog cognition and what it means for your relationship with your dog. Hare, who is the founder of the Duke Canine Cognition Center, started his research at the young age of 7 with his dog Oreo. He used a basic cognitive test involving two cups and a treat to test whether Oreo would respond to hand signals. Later in life, as part of his research, he travels to places like the Congo to work with bonobos, Australia to observe dingoes on Fraser Island, and New Guinea to test a group of New Guinea Singing Dogs. People who own pets tend to be more extroverted, less lonely, and have higher self-esteem than people who do not own pets. Breed-specific laws based on appearance as opposed to bad behavior are doomed to fail in protecting the public because it is difficult to judge a dog by her cover. In return for a lifetime of loyalty, they (dogs) depend on us for food, the warmth of a loving family, and a good home. It is up to us to uphold our end of the bargain. This book is thoroughly referenced with 67 pages of end notes, something I believe is as an indicator of quality. A team of scientists from the University of North Carolina School of Medicine, North Carolina State University’s College of Veterinary Medicine and Duke University have conducted one of the first studies to directly compare canine and human B-cell lymphoma by examining molecular similarities and differences between the two species. B-cell lymphomas are very common in both humans and dogs. 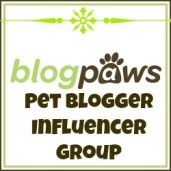 “Pet dogs get cancer the same way humans do: at similar rates, and for unknown reasons. Like humans, dogs’ tumors are spontaneously occurring, rather than genetically created as they are in mice, so canine tumors may more accurately mimic the situation in human cancer patients. Dogs are good models to study, because it will also be possible to study shared risk factors, in the environment, for example, that might predispose both humans and dogs to get lymphoma. Our knowledge helps dogs and humans with lymphoma.” says Kristy Richards, MD, PhD, and co-author of the research which has been published in the journal Cancer Research. Molecular analyses of canine and human tumors were completed at NCSU and at UNC Lineberger. The team used gene expression profiling and found that canine B-cell lymphoma expression profiles were similar in many ways to human B-cell lymphoma, thus paving the way for future studies, including therapeutic clinical trials in dogs and humans.